The THRUSTBACK teaches pad level, hips and hands! And then feet after contact! The sled offers dual action. 12" of forward thrust and 5" of upward lift. The forward thrust teaches a defensive lineman to “shoot his hips” and “bring his feet” after contact. The upward lift teaches a defensive lineman to get extension and separation. 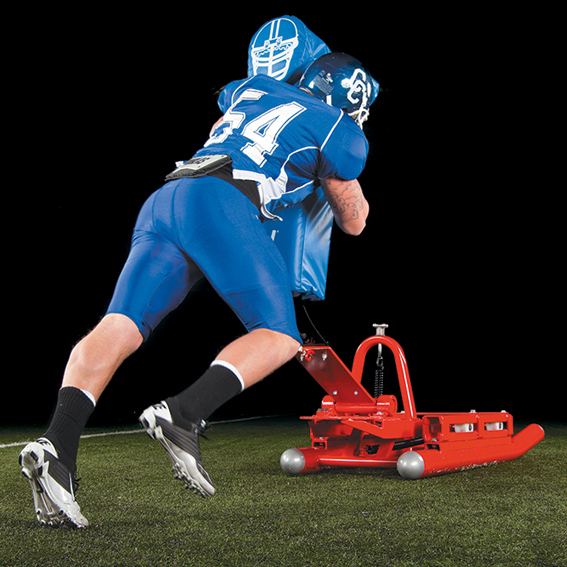 The low pad level teaches a defensive lineman to keep his head and eyes up. The heavy weight of the sled simulates the weight and girth of an offensive lineman. The sled doesn’t “run” or “turn.” It teaches a defensive lineman to maintain balance and stay square. 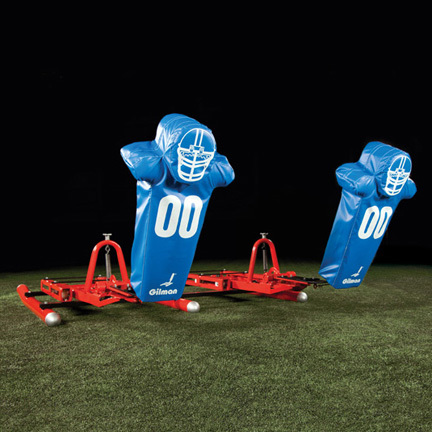 Outfitted with the new Zone Pad, two lineman can execute a double team block while getting four hands on the pad and driving it up and off the line of scrimmage. "The coaching point is to bring the feet after contact!"